This September I think I am going to be a little lost. I had already written another post about September coming but then I received a letter through the post. So I deleted the original post and thought I would write it again. The letter I received has shocked me a little. I was really lucky that Elliw had her space in the school I chose as first choice. Which means she will be going to the same school as Mia. She is very excited. When I picked her up from school last week to go on her trip with playschool I received one letter off the teacher. The letter I received told me that Elliw will be having the Morning Sessions in September. She will be part-time so she will go to school at 9am with Mia then I will pick Elliw up at 11am. So just like playschool. But a few days after, I received a letter through the post to tell me that Elliw has been accepted to a speech and language school. Her speech is delayed for her age so she has been attending speech therapy every few weeks and they referred her to this school in the next town to me. We went to have a look at the place and spoke to the teacher. It looked fantastic. All children were happy and Elliw even joined in with them. It seemed like a well looked after happy place. We agreed on half there and half in school. So I was thinking 3 mornings in speech language school and 2 mornings in the school in the village we live. The letter said different. As I said above, Elliw will be attending morning sessions in school and the letter says Elliw will be attending speech and language school 1pm until 3pm, Monday, Tuesday and Wednesday. My heart sank. Is it sad that I actually started to cry? My youngest daughter. She is only 3 years old. I was only preparing for her to go in a school uniform. I wasn't and still not prepared for her to be away from me nearly all day Monday, Tuesday and Wednesday! I will pick her up from school 11am, we come home for lunch and then around 12.30-12.45pm a taxi will pick her up to go to the speech language school. I feel so sad that my both my girls are growing up so fast, too quickly. Mia will be in Year 1. How is that even possible?! I do hope the Summer holidays will go a little slower this year. 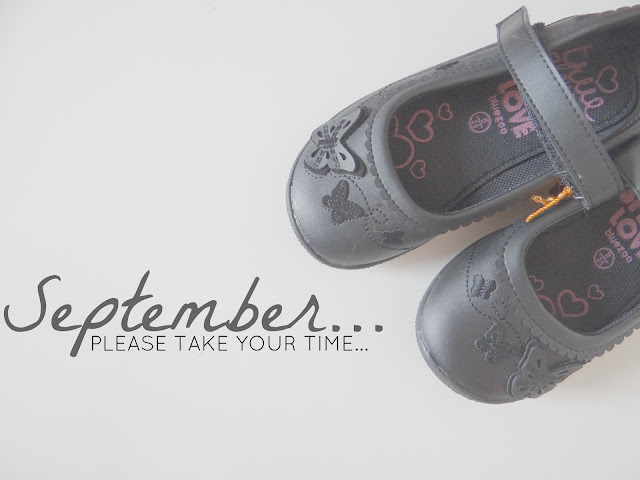 Are your children starting school this September? How do you feel about it?